Missing Movie Review: Watch it for the brilliance of Bajpayee and Tabu and the promise that it suggests of greater things from the director. There is a great deal missing in writer-director Mukul Abhyankar's second feature, Missing. What definitely isn't is a grasp on the mystery-thriller genre. Not every piece of the jigsaw puzzle that he juggles with falls perfectly in place, but he seems pretty adept at handling the tools and tonalities involved in the exercise. 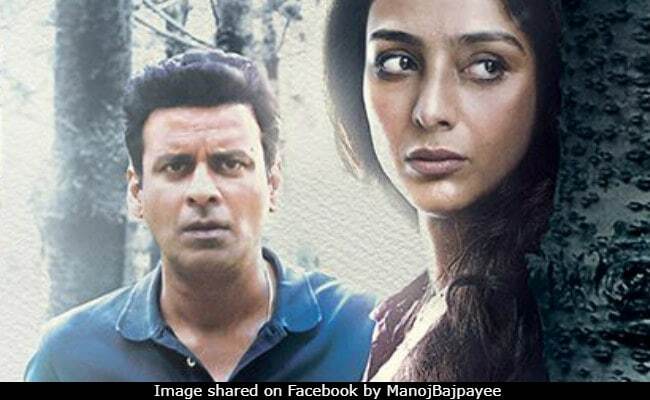 Missing is a flawed film, but with the two leads, Manoj Bajpayee and Tabu, at the very top of their game, it is reasonably absorbing, if not wholly gripping, in parts. Playing out in the interiors and on the grounds of a luxury hotel in Port Louis, Mauritius, Missing skirts around the inevitable pitfall of shooting on such a balmy, picturesque setting. It doesn't degenerate into a superficial picture postcard film because it trains its focus firmly on an intriguing and whimsical narrative. It might occasionally seem too thickly plotted, but with several of the individual scenes livened up by the principal onscreen pair, Missing is always a few notches above the average. The film hinges on a three-year-old girl - we never actually see her face - who vanishes into the blue in the middle of the night while a couple makes love in the next room in a cottage that they have just checked into in the sprawling seaside resort. While the woman is understandably reduced to an emotional wreck, the man appears surprisingly calm and composed. The former wants to call in the cops immediately, the latter requests her to hold her horses because he is more concerned about the trouble that the arrival of the men in uniform might spell for him and the reputation of the property. Amid a whole array of red herrings that are hidden in plain sight, Sushant Dubey (Bajpayee), who is on a business trip here from Reunion Island, and Aparna (Tabu), who has arrived on a ship with a baby swathed in a heavy bundle of cloth, begin to play mind games with each other - and the audience - even as a Hindi-speaking Mauritian police investigator Ram Khilavan Buddu (Annu Kapoor, who makes rather risible efforts to get his French diction right but is all over the place) and two of his men, who also speak our rashtra bhasha well enough, grill the two visitors who, on their part, have a rather stiff manner of conversing. That, sadly, is the dominant tone that the somewhat self-conscious film adopts. In striving for effect at every turn, the director stretches his resources thin at times. As a consequence, the constant effort to be a step ahead of the audience robs the film of spontaneity. It is clear from the very outset that there is more going on here than meets the eye. Director of photography Sudeep Chatterjee's fluid camerawork and evocative lighting and editor Shree Narayan Singh's always-on-the-ball cutting augment the suspense created by Bajpayee'e fascinating facial malleability and range of expressions and Tabu's innate ability to convey, with effortless ease, the intense anguish of a mother whose daughter has gone missing. If anything sticks out in this craftily structured generic artifice, it is the presence of the crack crime-buster who, the audience is told in the course of his entry scene, is known as 'Mr. 100 Percent', a policeman who never slips up. But the bafflingly laidback manner in which he goes about his job does not lend credence to his claim to infallibility. He actually comes across as a rather avuncular, gullible guy who sways from one side to the other like one of the tropical trees on the island caught in a squall. That point is noted by the Mr. Dubey, who is one of the prime suspects: "When I was spinning a yarn, you were ready to believe me, but now that I am speaking the truth..." Between a complex web of lies, truths and half-truths, Missing probes flawed, fixated individuals in a drama about obsession, neurosis and survival instinct. The screenplay, authored by Abhyankar himself, overdoes the to-ing and fro-ing between the real and the imagined, the tangible and the merely suggested, thereby injecting massive doses of whimsicality into the tale. A mysterious resort guest who is too nosey for his own good - his role in the proceedings is explained away and dispensed with rather early in the second half - holds viewer interest all too briefly. A meat-cleaver hidden in a bag containing diapers, sundry dolls strewn around the property to arouse suspicion, and the principal male character's tendency to flirt with any girl he encounters - he does not spare the resort receptionist who upgrades his single room to a family suite - are meant to provide pointers to what might lie ahead. Some of the twists are far too arbitrary to be convincing and the abrupt climax leaves a few questions unanswered. Watch Missing for the brilliance of Bajpayee and Tabu and the promise that it suggests of greater things from the director. It is anything but a hit-and-miss effort.